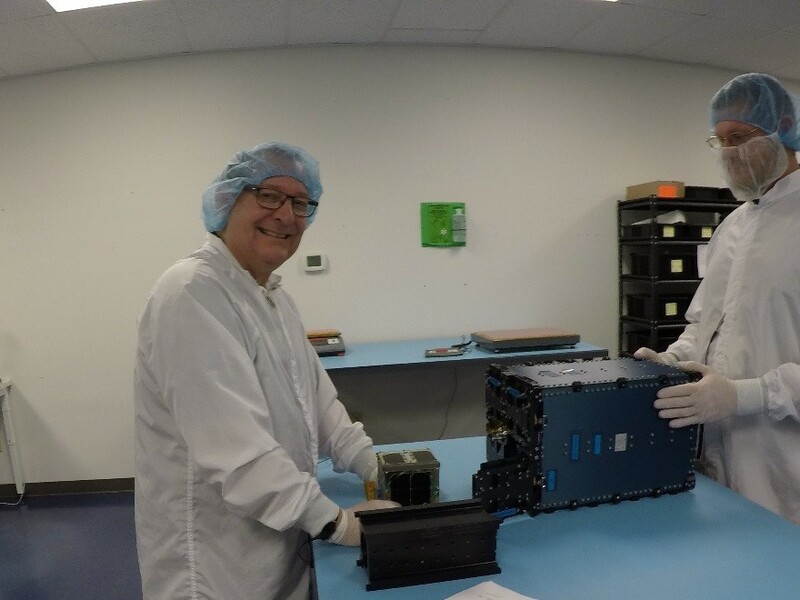 While RadFxSat (Fox-1B) is just days from launch, preparations for the launch of the next Fox-1 satellite are already underway. 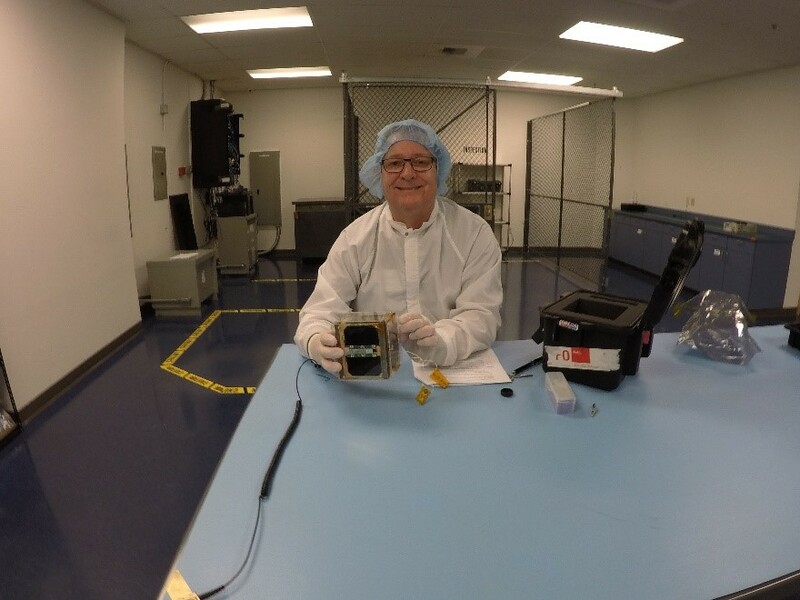 On Monday, November 6th, AMSAT Vice-President Engineering Jerry Buxton, N0JY, delivered Fox-1D to Spaceflight, Inc. in Seattle, WA where it was integrated into its Innovative Solutions in Space QuadPack for delivery to India. 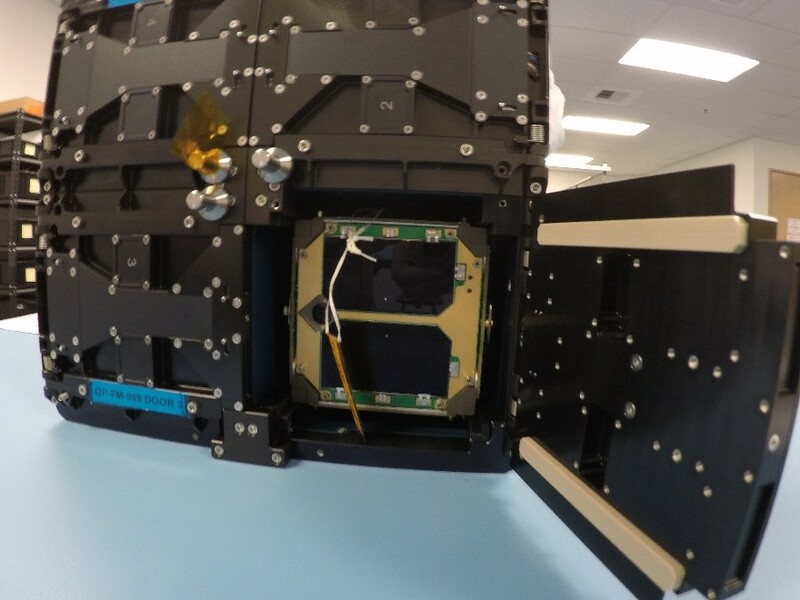 Fox-1D will launch on the next ISRO Polar Satellite Launch Vehicle (PSLV) flight, scheduled to take place by the end of December. Fox-1D in its ISIS QuadPack. 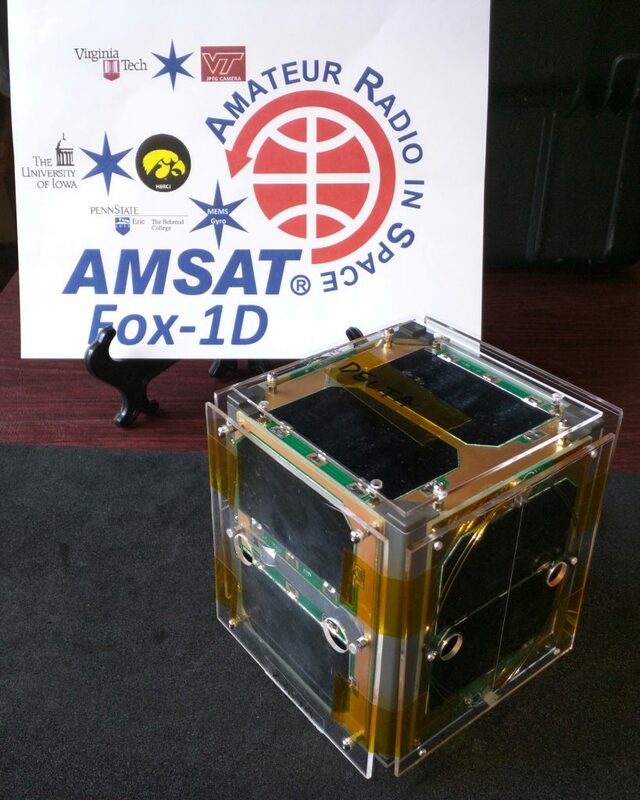 In addition to the Fox-1 U/v FM transponder, Fox-1D carries several university experiments, including a MEMS gyro from Pennsylvania State University – Erie, a camera from Virginia Tech, and the University of Iowa’s HERCI (High Energy Radiation CubeSat Instrument) radiation mapping experiment. 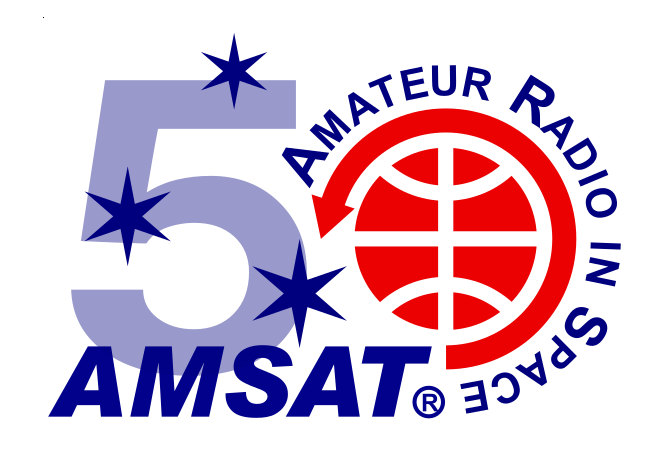 Fox-1D also carries the AMSAT “L-Band Downshifter” giving the option of utilizing a 1.2 GHz uplink for the FM transponder.